The bespoke boot space is packed with features to improve comfort and welfare for up to two dogs. This car has been created following an owner survey from the Kennel Club, the largest organisation for promoting dog health and welfare. The survey shows that 90% of people want cars with more dog friendly features. Almost every dog owner considers their pet to be part of the family. To meet their demands, Nissan has unveiled a unique new model – the X-Trail 4Dogs, demonstrating that its flagship crossover is the perfect car for family adventures, particularly ones involving those with four legs. One of the highlights of the X-Trail 4Dogs concept includes a two-way ‘dog cam’, water shower, dryer and access ramp. The boot has been turned into a dog haven, 445 litres in size with a suite of innovative new features, accomodating up to two animals. 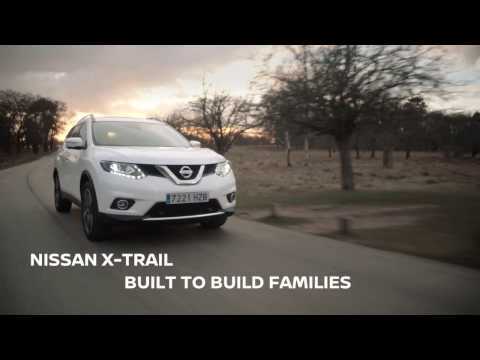 The Nissan X-Trail 4Dogs has everything required to keep canines clean and comfortable after a long, muddy walk. Wash them off with the 360° pull-out shower, then swap for the dog dryer which delivers a jet of air to the wet fur. Pull out the slide-away ramp so the dogs can walk up into the boot – allowing owners to stay completely mud-free – then turn on the integrated drying system which supplies warm air into the boot space. The dogs can settle down into the luxurious bed, helping themselves to a drink from the no-spill water bowl or take a snack from the smart dog treat dispenser. Safety in transit is taken care via a clip-on harness hook. ‘Dog-cam’ technology has been installed which has been integrated in to the NissanConnect infotainment system, enabling the owner’s to view their pets whilst driving. The owner can also talk to the dog via an audio link to keep it calm. The whole boot has been upholstered in premium wipe-clean leather so any stray dirt or pet hair can easily be cleaned or removed.